This year the Chinese Culture Club is ushering in the New Year with traditional songs, poems, clothing, and dances. During the festival, the traditional “Lion Dance” provided by the Asian Cultural Exchange Council, will be performed. The Lion is traditionally seen as an auspicious animal and a symbol of success. The formidable face of the Lion is meant to scare away evil. We will also offer another unique piece known as the “Quick Mask Changing” to be performed by Lisa Wang. This 300-year old traditional ceremonial piece is sponsored by Ameriwal International. Traditional Chinese musical instruments such as the pipa and the guzheng will also be played and on display for our guests. These instruments are quite rare and very few musicians even know how to play them. Afterwards a fashion show will present the change in Chinese fashion over the centuries. The Chinese Culture Club will distribute cards written in Chinese calligraphy as well as traditional Chinese rice crackers. 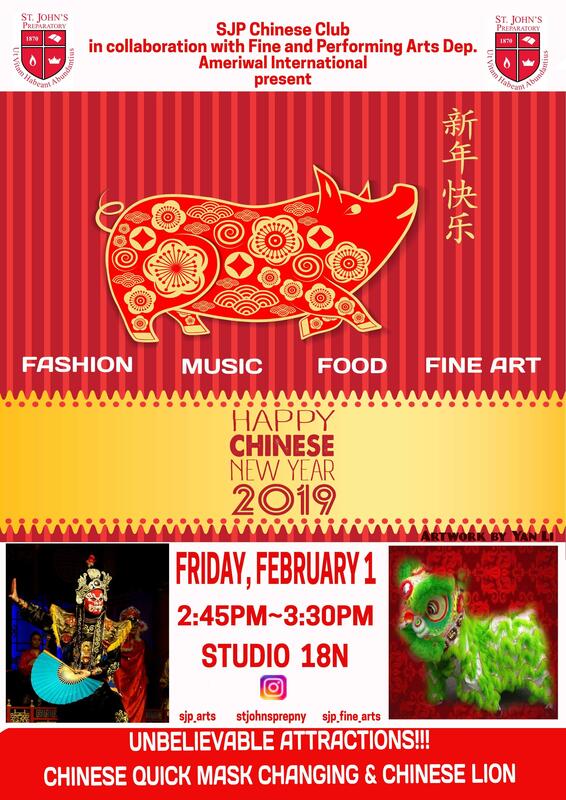 Please join us to celebrate the Lunar New Year!